Roll out the red carpet and send in the welcoming party – the future of A/V receivers has officially arrived! This is the biggest, most exciting news to come out of the A/V receiver world in a while. The minute we heard news of the party, we sent our covert team and managed to swipe a couple of Onkyo’s latest A/V receivers right off the red carpet, before they even made it into the party. Okay, we don’t actually have a covert team, but you get the idea – we wanted to be the first to get our hands on these latest A/V receivers and give them the CANADA HiFi treatment. What’s all the excitement about? Onkyo is the first company to introduce A/V receivers that fully embrace the Blu-ray and HD DVD formats. Onkyo’s 2007 A/V receiver line-up consists of seven brand new models, suitable for everyone’s budget. We were lucky enough to score not one, but two of the latest models for this issue, the affordable TX-SR605 and the audio video enthusiast-geared TX-SR805. Both models are the first A/V receivers from any company to offer the much anticipated Dolby Digital Plus, Dolby TrueHD, DTS-HD and DTS-HD Master Audio decoding. They are also the first to offer HDMI ver.1.3a connectivity. Other features shared among both receivers include 7.1-channels of amplification (with multi-channel analogue inputs), Faroudja DCDi Edge video de-interlacing (480i to 480p), auto speaker calibration, XM and Sirius radio compatibility, and multi-room playback. Naturally, the 805 model has a higher power rating, some better quality internal components, as well as more features and connectivity options. Let’s start with the 605. The 605 boasts a surprising number of features and should have a mass market appeal thanks to its affordable price. A receiver that I bought some 3 years ago for nearly double its price didn’t offer half of these features. 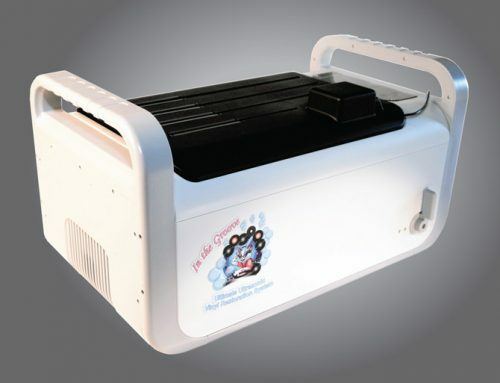 The 605 is capable of driving 6 to 8 ohm speakers, providing 90 watts of power for each channel. Its video inputs consist of 2 HDMI, 3 component, 5 S-video and 5 composite. The Audyssey 2EQ auto speaker calibration is also on board. This feature automatically corrects sound distortion caused by room acoustics, by making measurements from three listening positions in the room. The 805 is a THX Ultra2 Certified powerhouse designed to drive mid to higher-end home theatres, with speaker impedances from 8 down to 4 ohms – a feat that only a truly powerful receiver is capable of. 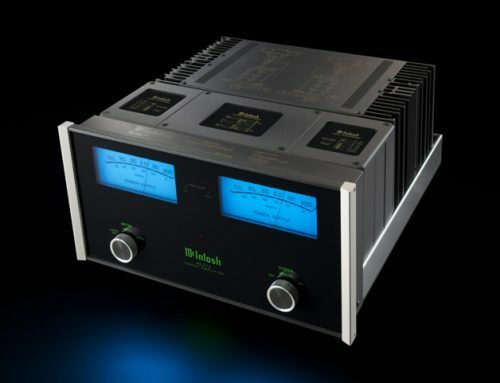 Its power is rated at 130 watts per channel. The 805’s full suite of video inputs includes 3 HDMI, 3 component, 6 S-video and 6 composite. 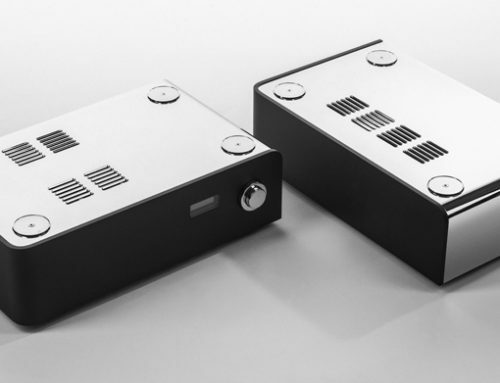 Additional features of the 805, not included in the 605, include a phono (turntable) input, 7.1-channel pre-amp outputs, a 12 V trigger, an IR input and an RS-232 interface. 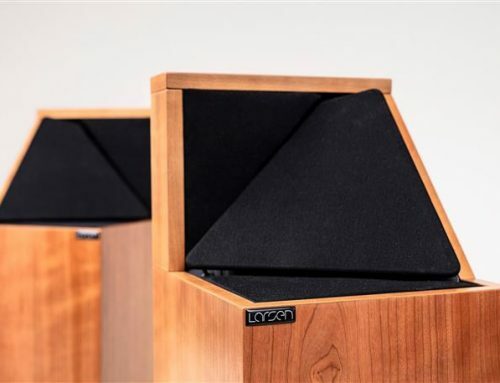 A top-of-the-line auto speaker calibration, Audyssey MultEQ XT, provides a more sophisticated speaker calibration over the 605, by taking measurements at up to eight listening positions and adding correction for the subwoofer. The supplied remote is fully backlit – alright! To audition the two Onkyo receivers I connected them, one at a time of course, to my reference KEF iQ Series speakers. For the source, I turned to the brand new Pioneer Elite BDP-94HD Blu-ray player (look for a review of this player coming up in our Oct/Nov issue). The 605 has a typical rear panel layout, while the 805 has the best speaker connector layout and access I have yet seen in a receiver. By the way, both receivers allow for bi-amping of the front speakers. I began my listening tests with the 605. In chapter one of Eragon on Blu-ray, as horses rumbled from the front to the rear channels, I literally felt the impact in my room. The bass was well controlled by the 605 though with powerful but tight bursts, and transitioned seamlessly between the channels. Thanks to this movie’s epic orchestral soundtrack, the 605’s musical character also came to light. The 605 was gentle enough to play the softer parts of the soundtrack with clarity and finesse, while delivering a powerful, tight kick drum when necessary. The 805 on the other hand, reproduced these same passages from Eragon with the impact similar to a big movie theatre. The horses no longer rumbled, they literally shook my room. But with the increased power, came a bigger responsibility – a slightly more precise control of the mid to high frequencies. The deep voice of the narrator was presented with clarity by both receivers, regardless of other sounds being played at the same time. When listening to Collective Soul’s Home DVD, a live recording with the Atlanta Symphony Youth Orchestra, the 605 created a rare emotional sensation in my room – apparently a rock band combined with an orchestra can do that. Screaming electric guitars with the organic strings of the orchestra, complemented each other like coffee and cream. The 605 instantly transformed my room into a decent-sized hall and placed me right in the audience. The changing dynamics of this concert were handled very well by the 605. Listening to the same tracks on the 805, this more commanding receiver simply rocked my room. I was no longer listening to the concert, I was experiencing it. The soundstage opened up and the sound became more airy. After a few tracks with Collective Soul, I rocked out a little with the Beatles Love CD in stereo. In “Eleanor Rigby”, the strings of the violins flowed naturally from note to note. Both receivers produced a wide soundstage with instruments and voices positioned appropriately within it. With the DVD-Audio version of this album, my entire room came to life with a trippy alter-reality through a very clever use of the surround channels. Audio transitions so effortlessly between the front and surround speakers, as if the front channels magically moved themselves to the back of the room. I was sure this was something to do partly thanks to the Audyssey calibration of both receivers. Both the 605 and the 805 had the same-pleasant-to-my-ears, musical disposition. It was a clean, well balanced sound, with a touch of natural warmth to it. My transparent KEF iQ Series speakers were a phenomenal match for the musical character of these Onkyo receivers.To enjoy high resolution audio from Blu-ray movies, I connected the multi-channel analogue outputs of my Pioneer player to the Onkyo’s analogue inputs. I had to do this, since the Pioneer player does not send the bitstream of Dolby TrueHD, DTS-HD and DTS-HD Master Audio through HDMI – it decodes these formats internally, sending the audio to its analogue outputs. In the future, it’s likely that Pioneer will release a firmware update that will allow the player to send the bitstream of these audio formats, so that the receiver can decode them. To my knowledge, there are no Blu-ray or HD DVD players that can send the bitstream of Dolby TrueHD, DTS-HD or DTS-HD Master Audio for a receiver to decode (not yet at least). I watched scenes from Casino Royale and Stealth, since both movies contain PCM 5.1 uncompressed soundtracks. In chapter one of Casino Royale, the 605 engaged me in an action sequence, worthy only of a Bond film. And the sound? It was simply first class. Both Onkyo receivers played this high resolution audio with a clear audible improvement over the compressed Dolby Digital we’ve all become accustomed to. Rustling of the leaves had noticeably more crunchiness to it, running through dirt sounded crispier and explosions had more air and enormity to them. Turning the volume right up on both receivers displayed the advantages of the 805, the bigger brother. At a point where the 605 reached its limits, the 805 played fluently with amazing clarity and unmistakably had much more dynamic headroom to offer. The 805 was mighty enough to fill a much larger room, than my 15 by 22 foot space, with clean sound. I also noticed a slightly cleaner background when listening to the 805 at higher levels. 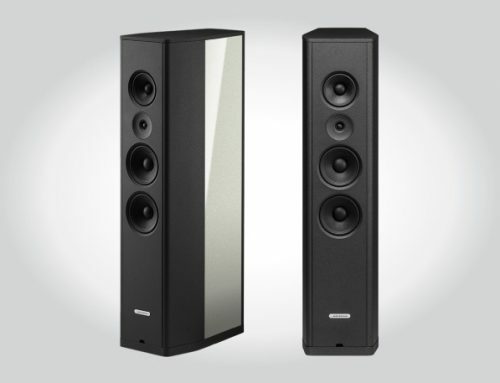 Some that audio enthusiasts will also enjoy that the 805 has ample power to supply for difficult-to-drive 4 ohm speakers. Like most modern receivers, the 605 and the 805 convert video from their composite, S-video and component video inputs to the HDMI output, allowing you to run a single HDMI connection from the receiver to the display. They also de-interlace the 480i signal, converting it to 480p (since HDMI does not support 480i). Using the Silicon Optix HQV test disc, showed that de-interlacing is not the receivers’ strong suit. 2:3 pulldown was not detected properly by the video processor, which resulted in noticeable jaggies displayed instead of smooth lines. Some detail was also lost by the de-interlacing process. To me this was not an issue though. If you’re still sending 480i signals to your receiver, slap yourself silly! If you have a decent progressive scan or up-converting DVD player, you’ll never use the 480i de-interlacing of these receivers anyway. The bottom line is that both Onkyo receivers, the TX-SR605 and the TX-SR805 nail it where it counts the most – in the audio performance, feature-set and build quality departments. With features like HDMI 1.3a and Dolby Digital Plus, Dolby TrueHD, DTS-HD and DTS-HD Master Audio decoding, both models are also future-proof, which is increasingly important in our ever evolving home theatres. I strongly suggest taking a look at Onkyo’s new line-up if you’re looking for an A/V receiver. Their latest receivers simply offer cutting-edge home theatre features, with sound performance to match. Both models are available in black and silver finishes.